It is the purpose of the College and University Section to serve persons interested in all aspects of academic libraries. Its objective is to stimulate and support high standards of library service in colleges and universities. It encourages professional growth through attendance at professional meetings, promotion of communication and exchange of ideas among its members, continuing education opportunities, and dissemination of publications of professional interest to its membership. It represents academic library concerns to other Sections within the SCLA as well as to groups and persons outside the Association. 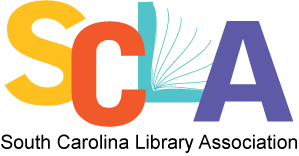 The full-day event, co-sponsored by SCLA’s College & University Section and Information Literacy Round Table, is a collaborative workshop on instruction and learning in the library environment. This year’s workshop not only focuses on information literacy, but also on the variety of items we make as librarians. This goes from makerspaces to instruction; we are all makers in our own way! Whether you work in academic, public, school, or special libraries and are a new librarian or a seasoned professional, iTeach 6 is a great opportunity for you to share your experiences, learn about what other South Carolina librarians are doing, or pick up new techniques. We are currently accepting proposals for 50-minute presentations on topics related to information literacy and what you make for, or in, your learning space. We also welcome proposals for 10-minute presentations for a lightning round session and a panel presentation centered on the theme of “makerspaces” Proposals are due May 1, 2019. This year's workshop will allow participants to attend virtually. If you do not wish to appear in a webcast or be recorded, then please indicate so on your proposal submission form. This will not affect the selection process. Accepted speakers will be notified by June 15, 2019. If you have any questions please contact Jade Geary or Megan Palmer. Please contact [email protected] if you encounter issues while registering. We look forward to seeing you at iTeach!